This Saturday night, April 30th, at the Rogers Centre in Toronto, Ontario, over 55,000 fans will be watching Georges St-Pierre defend his UFC Welterweight title against Jake Shields in UFC 129. There is another title bout on the fight card between defending UFC Featherweight Champion Jose Aldo and number one contender Mark Hominick. There are additional fights worth watching, as UFC President Dana White has done another great job in putting together what should be an exciting night of MMA action. This event is expected to be the largest in UFC history, so let’s get right down to the matchups for UFC 129 St-Pierre vs Shields. Georges St-Pierre is arguably the best MMA fighter ever, and at only 29 years old, still has time to develop and improve on his talents. GSP is coming off an 8 fight win streak, and has never backed down from the toughest of contenders. I guess you could say he has beaten the best of the best. He is a consummate professional, and is a student of MMA. I don’t think anybody studies harder to find little nuances on how to beat their opponent. Plus, GSP is so well-rounded, he can beat you in a variety of ways; knock out, ground and pound, submission, or kicks. He has strength, speed, stamina, and discipline, so it’s difficult for any opponent to find a weakness. His striking and takedown defense are about as good as you can get. He has not lost since April of 2007, and before that, he hadn’t lost since October of 2004. Those are his only two losses in his UFC career, and he has since avenged both of them. Look for GSP to try and take Shields to the ground and either pound him out or submit him. If the fight goes the distance, GSP should remain champion, as he has never lost a fight determined by a decision (8-0). 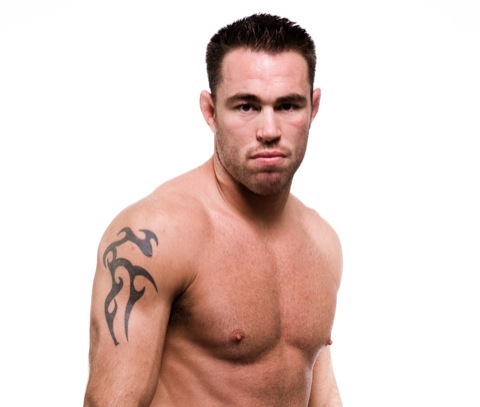 At 32 years of age, Jake Shields has waited a long time for his opportunity. He has been very successful in MMA venues outside of the UFC, has won 15 fights in a row dating back to 2005, and is finally getting his title shot in the UFC. This will be a chance for Shields to showcase his talents to prove that he is as good as his record, in only his second UFC fight of his career. Jake is a highly skilled wrestler, and a black belt in Brazilian Jiu-Jitsu. He is always in top condition, is very competitive, and will look to try and keep GSP at bay by using his leg kicks. If he gets an opportunity, he will try for a takedown and attempt to choke GSP out. Shields tends to have an aggressive approach, but has not shown to have much power in his punch. His biggest weakness is his defense. His striking defense still needs some refinement as he tends to take more blows than he should. This could be his downfall, as GSP may decide to stand and pick him apart. Although he is the current UFC Featherweight Champion, Jose Aldo is making his debut in the UFC. He won the WEC Featherweight title in 2009, and after defending it in his final WEC bout in September of 2010, was designated the UFC Featherweight Champion. This is his first UFC title defense since the UFC merger with the WEC after that September fight. Aldo is only 24 years old, is a very exciting fighter, and does no hold anything back during his fights. Because of his aggressive nature, he tends to end fights early. Twelve of his 18 wins have come by way of knock out. He is on an 11 fight win streak, and has not lost since 2005. He is a Brazilian Jiu-jitsu black belt and World Jiu-Jitsu Champion. He has a very strong ground game, but it is rarely needed. His striking and takedown defense is excellent. He is considered one of the best pound for pound fighters in the UFC. If you blink, you might miss this one. Since losing two fights back to back over three years ago, Mark Hominick has been on a 5 fight win streak, and has moved up as the number one contender for the Featherweight title. He is a very renowned kickboxer and Muay Thai fighter who is also not afraid to go toe to toe with his opponent. He has 9 wins by knock out, but also has 7 wins by submission. Hominick has very good striking and takedown defense, but can be susceptible to a submission. This is a huge opportunity for Hominick as he fights in his home country of Canada, so look for this one to have potential for fight of the night honors. I do not see this one going past round three, if it makes it that far. Vladimir Matyushenko is resurrecting his career at the age of 40. 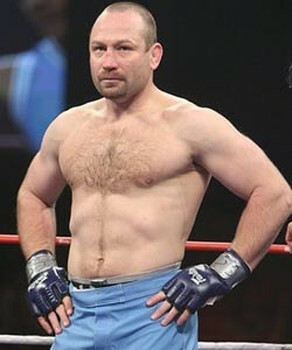 He fought in UFC 32 back in 2001, and didn’t fight in the UFC again until 2009, at age 38. He has won his last 3 out of 4 bouts, with his only loss coming to current UFC Light Heavyweight Champion Jon “Bones” Jones. He has always struggled to defeat the top-tiered contenders in his weight class. His background is in wrestling, and he was the Soviet National Wrestling Champion when he was younger. He possesses enormous strength and has 15 years of MMA experience to draw upon. He would love to take the fight to the ground and either submit his opponent, or ground and pound his opponent into a TKO. As an older athlete, he may tend to gas if the fight goes all three rounds, although he has won 10 of his fights by way of decision. Vladimir could improve defensively by avoiding more strikes, although his wrestling experience makes his takedown defense pretty solid. Vladimir has never been submitted in 30 MMA fights. 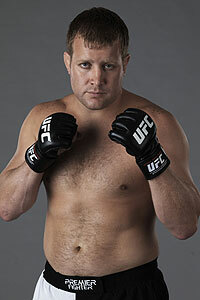 Jason Brilz continues to work a full-time job as a fireman while training for the UFC. He has no interest in making his living as a MMA fighter even though he has been very successful at it. Brilz was a state champion wrestler, and also wrestled in college. By 2009, Brilz was 17-1-1, and had not lost in 13 straight fights. He has had two controversial split decision losses since then, and is looking to get back into the win column. Brilz is successful if he can take his opponent to the ground or get their back. Half of his wins have been by submission. He also likes to stay close to his opponent and strike with his knees. His striking defense is better than Matyushenko’s, but although he is an accomplished wrestler, he does not have great takedown defense. This will be interesting since Brilz loves to submit his opponents, and Matyushenko has never been submitted. I think whoever wins the ground game will end up winning the fight. What can you say about a UFC fighter that is already in the UFC Hall of Fame, is still fighting at 47, and has won his last 3 fights. Randy Couture has been a UFC World Champion at Heavyweight and Light Heavyweight multiple times, and absolutely shows no fear in the octagon. He was a world-class wrestler, and three-time All American wrestler in college. He loves to grapple and clinch, and when he gets a hold of you, it’s almost impossible to escape. Most of his wins come by way of decision, and he has only lost by decision once in his career. He has decent striking and takedown defense. Of course Couture would love to take the fight to the ground where he is most comfortable, and where he can use his strength to work on his opponent and wear him down throughout the fight. He also has a powerful punch that can knock you out with one swing. With that, he has the ability to be in any fight until it’s over, no matter how bad he is losing. 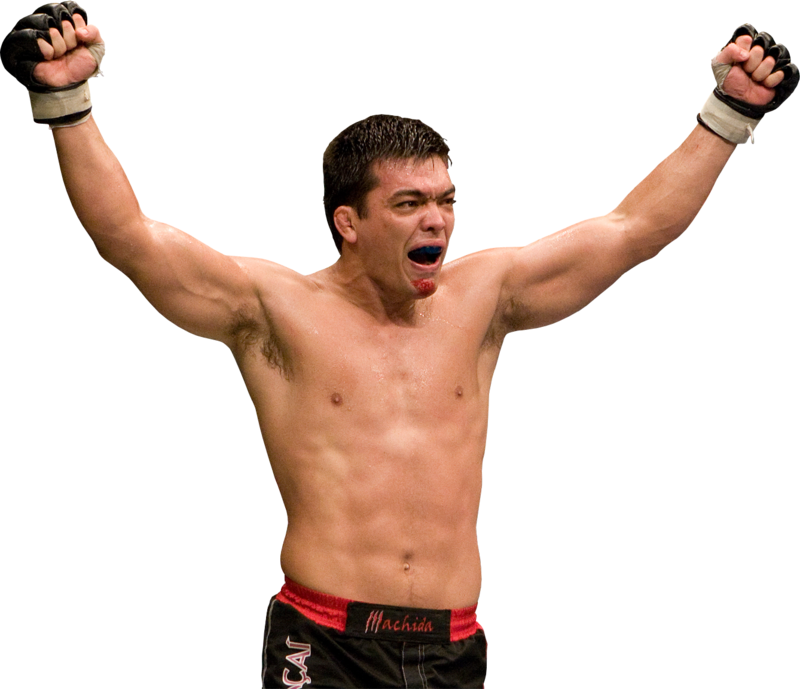 After going 16-0 and beating Rashad Evans for the UFC Light Heavyweight title, Lyoto Machida has lost his last two UFC fights. He is eager to get back on the winning track and work his way back into title contention. Machida is a karate expert who was trained by his father since the age of 3, and is also a black belt in Brazilian Jiu-Jitsu. He has a very unique way of fighting, in that he counter-attacks his opponents. He relies on timing and accuracy, and likes to frustrate his opponents by defending against their strikes and takedown attempts. Because he is not the aggressor, many believe Machida is a boring fighter, but he is very successful, and has won 9 out of 10 fights that have gone the distance. He would like to keep this fight standing, as this is a classic fight between the aggressive wrestler and the defensive striker. If Machida can stay on his feet and keep his distance from Couture, he has a good chance of winning by way of decision. Mark Bocek is one of Canada’s first ever black belts in Brazilian Jiu-Jitsu, and he has studied it for over 15 years. He is also a black belt in Kempo Karate, and he loves to fight. He has won his last 4 out of 5 fights, and is looking to move up into contention for the lightweight belt with a big win over Henderson. He is a good grappler, and likes to take his opponent down whenever possible. He has 7 of his 9 wins by way of submission, and his favorite technique is the rear naked choke. When he gets you on the ground, he will throw a lot of punches to try and wear you down. He has decent striking defense, but can be taken down almost as easy as he can take you down. He has a big heart and will go all out to win before leaving the decision up to the judges. This will be the first fight in the UFC for Ben Henderson, after losing his WEC Lightweight Title on December 16,2010, and the opportunity to become the first UFC Lightweight champion in the merger. Now he is ready to take the first step towards climbing back up the rankings for a title shot. Henderson is a two-time NAIA Collegiate All American in wrestling, has a black belt in Taekwondo, and a brown belt in Brazilian Jiu-Jitsu. Henderson has only been fighting MMA since 2006, and has come a long ways in a short period of time. 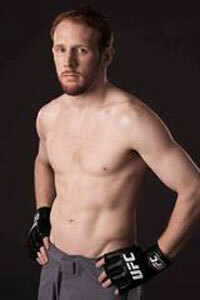 He is similar to Bocek, as he likes to take his opponents down and is also skilled in submissions. Out of his 12 wins, 8 have come by submission, but he is also very good at the ground and pound. He lacks true boxing skills, and would much rather tie his opponent up in a clinch and use his striking skills inside. Once there, he can also use his takedown skills to dominate his opponent, as he is very strong for his size. His striking and takedown defense is about the same as Bocek. Since these two are both submission artists, I think the fighter that gets the most takedowns will end up eventually winning, probably before the end of round three. ~ by Troy Erickson Realtor on April 29, 2011.